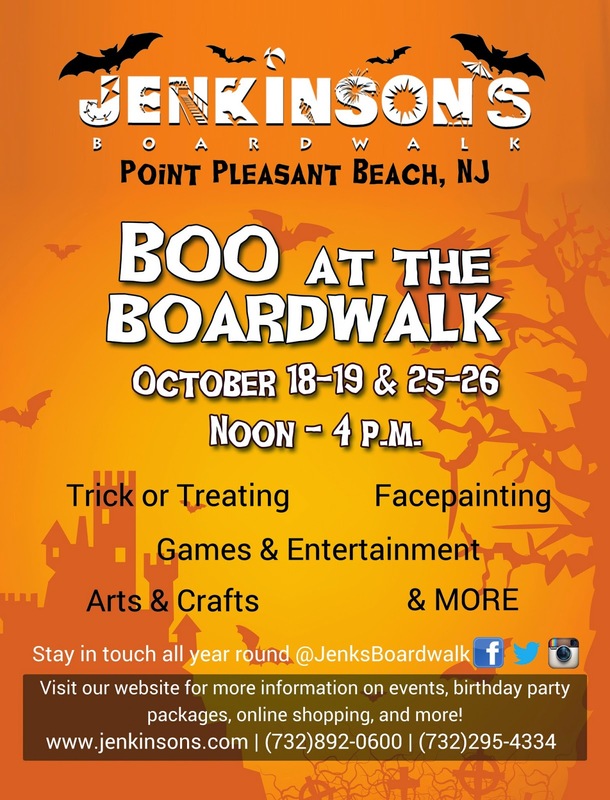 Take a break from apple and pumpkin picking, raking leaves, and Sunday football to squeeze in some Halloween fun at Jenkinson's Boardwalk. Jenkinson's will hold its annual, fun-for-the-whole-family Halloween event on October 18-19 and October 25-26. The event runs from 12-4 pm and includes face painting, trick or treating, arts and crafts, games and entertainment and much more! Jenkinsons Aquarium and Gift Shop, Pavilion Arcade, and Jenkinson's Sweet Shop will be open in addition to Jenkinson's classic boardwalk games. For more information visit jenkinsons.com. WIN A FAMILY 4-PACK OF TICKETS TO JENKINSON'S AQUARIUM! While you are enjoying the fun at Boo at the Boardwalk, take a break from the Halloween fun to visit Jenkinson's Aquarium. Jenkinson’s Aquarium has dedicated itself to the education, conservation, and superior care of a diverse collection of life from aquatic habitats. It strives to provide guests with a unique and memorable experience through creative exhibits as well as innovative educational and outreach programs. You can reach more about our most recent visit to the aquarium here. Jenkinson's is generously offering one (1) Pieces of a Mom reader a family 4-pack of tickets to Jenkinson's Aquarium for the weekend of October 18/19 and October 25/26, 2014. Tickets are valid for these days only. Tickets can be picked up directly at the Aquarium reception area. Winner must be 18 years of age or older and must reside in the tri-state (PA, NJ, NY) area to be eligible to win. Winner will be chosen on October 4, 2014 and will be notified via email.